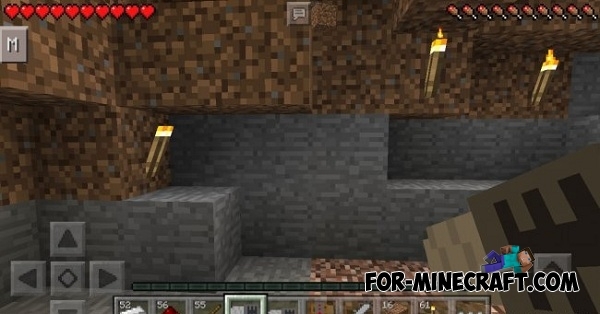 Power Tools mod adds very necessary tools in MCPE. These tools will be needed in some situations. Four tools available to you: jackhammer, two different drills for mines and chainsaw. Each of the tools requires an appropriate of using for the right job. 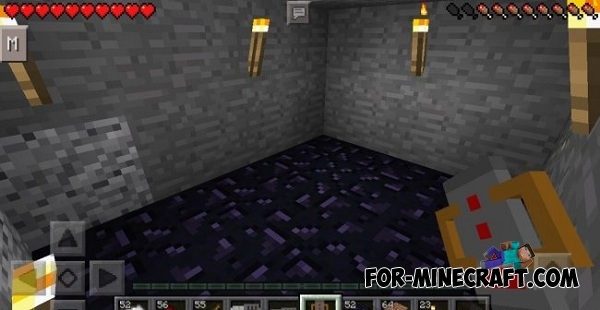 For example, do not use a jackhammer for breaking other ores except the obsidian. The same thing applies to other tools. First you need to cut down the trees then make stick. Next obtain the red dust and iron (melt it). Now you have all the necessary ingredients to create a tool. How to use a chainsaw? Take in hands a chainsaw and come to any tree, we recommend that you find a big tree! Now click on the trunk of tree to bcut down it. 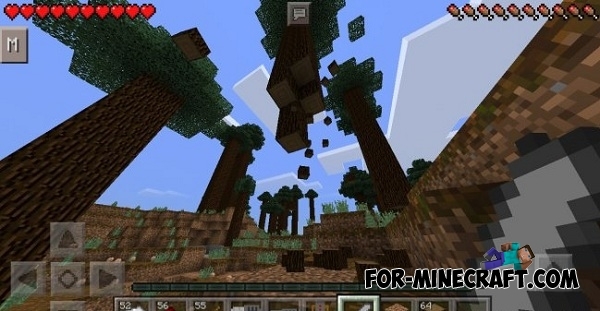 The tree will fall slowly in Minecraft style until it is completely destroyed. 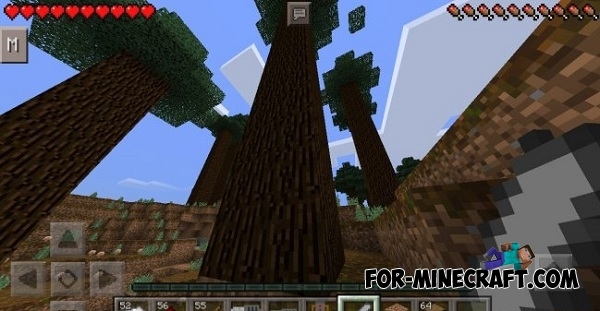 Thus you can quickly cut down a tree while having spent a few seconds of your time on it. How to use a jackhammer? Jackhammer can be used only in one case, when you have found obsidian then you can safely take it into their own hands and destroy. 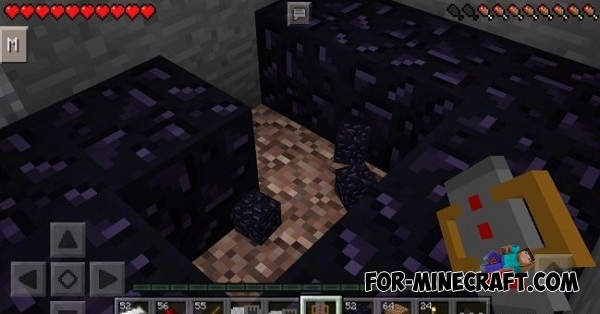 You will extract only one obsidian block in one go but this is much more effective than with a diamond pickaxe. How to use the shaft drill? 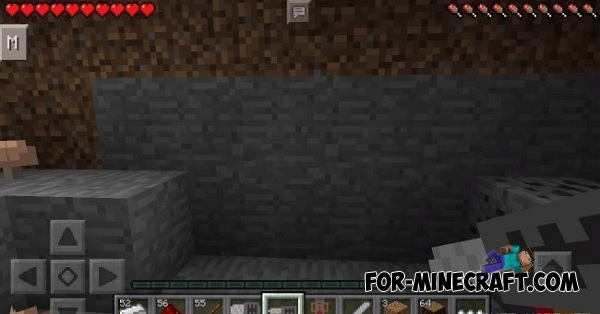 Pick up a drill, go to the mine or find a wall (made of stone) and start using a drill. You will break down 4 blocks. How to use the wide-bore drill? Wide-bore drill works similarly shaft drill but it is much more productive. That's a wide-bore drill works.